With May now drawing to a close, we are just a few short months away from what we all expect to be the iPhone 7 announcement and subsequent launch, and if the rumors and past releases are any indication, it’s set to be a big one. We’ve also started to encounter the odd meaningful leak surrounding the device as well, with the latest suggesting that not only will the iPhone 7 Plus come with a dual-lens camera configuration, but also a new 256GB storage option at the high-end. 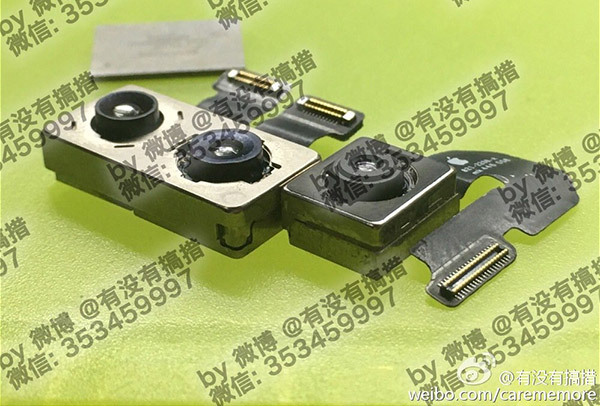 A new leak, courtesy of Weibo, shows what appears to be a dual-lens camera setup for what is claimed to be an iPhone 7 Plus. The two-lens approach will allow for all kinds of magic to be carried out under the hood, but what it will essentially boil down to is better photos and video, and that’s always a good thing to have. 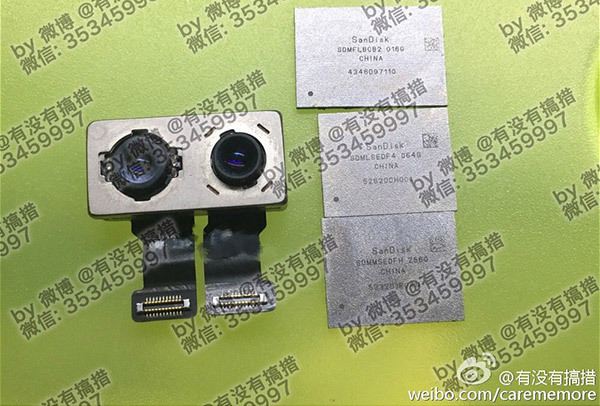 If this leak is genuine, and we’re seeing little at this point to suggest that it is not, then the iPhone 7 will be the first iOS device to feature a dual-lens camera setup. 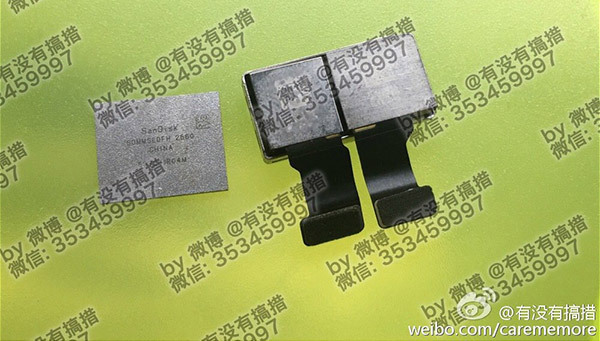 When you have two lenses capturing data, you need somewhere to put it all, so it’s perhaps not all that surprising that the Weibo leak also included what appears to be a 256GB memory chip from the as-yet unannounced iPhone 7 Plus. That larger storage option is one that Apple has been rumored to have up its sleeve for a good while now, and many would be pleased to see it finally come to fruition. Unfortunately, it’s currently unknown whether this means the anaemic 16GB models will be gone for good, but we doubt it. 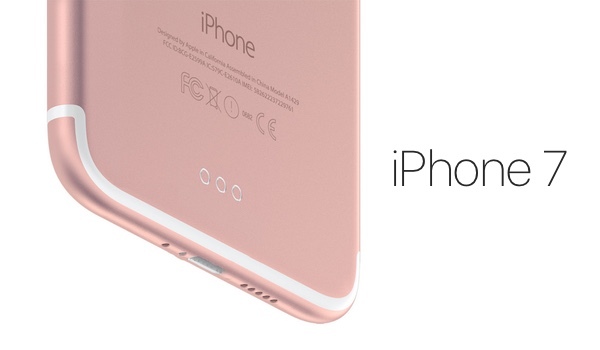 The iPhone 7, set to be announced around September this year, is set to be something of a stop-gap product, with the real external redesign coming next year, according to reports. Hopefully, a new camera and extra storage isn’t all we can look forward to for the iPhone 7 and iPhone 7 Plus. 16GB and 256GB option for $500+. Thats what Crook calls “revolution”. They take 3D images.. not for improving image quality.